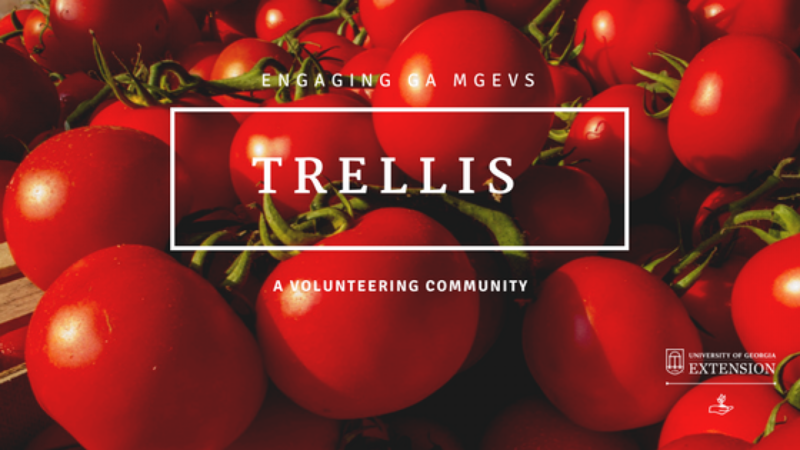 Trellis | MGLOG: What key words will you choose? MGLOG: What key words will you choose? One of the added features to our project proposal process is key words. By associating key words with the project proposal, we know more about what MGEVs are doing across the state. Key words help us to see trends in what MGEVs are being asked by their communities to address. In turn, timely training, publications, presentations, and other resources can be created for Agent and MGEV use. You can choose up to 6 key words per project proposal. Doesn’t seem like a daunting task until you realize that there is a list of 66 key words to choose from, an d we’re just getting started! 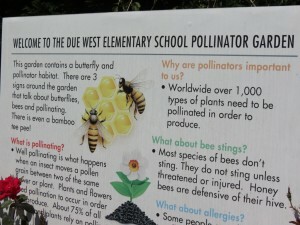 I realized just last week when visiting Cobb County MGEV demonstration projects that we have overlooked important key words, like “pollinator garden” and “water-wise gardening.” But not to worry, it’s easy to add key words to this list. Your Agent or I can add them to the statewide list if you just send us an email request to do so. This key word list that you see on a project proposal form has its origins in several places. Historic project codes that have been used here in Georgia for years on the classic time sheet are an important set of key words. 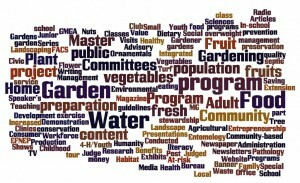 These codes include words like “newspaper or magazine articles,” “plant clinics,” “home garden visits,” “adult class,” and “civic or garden club presentations.” They really capture the bulk of teaching and outreach strategies that MGEVs use and these words have been used for years to create the annual report for the Georgia MGEV program. 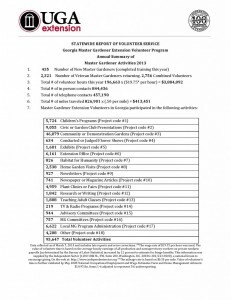 We also have lots of words that come from GACounts, the reporting system that agents use to capture the details of educational programming in their counties. 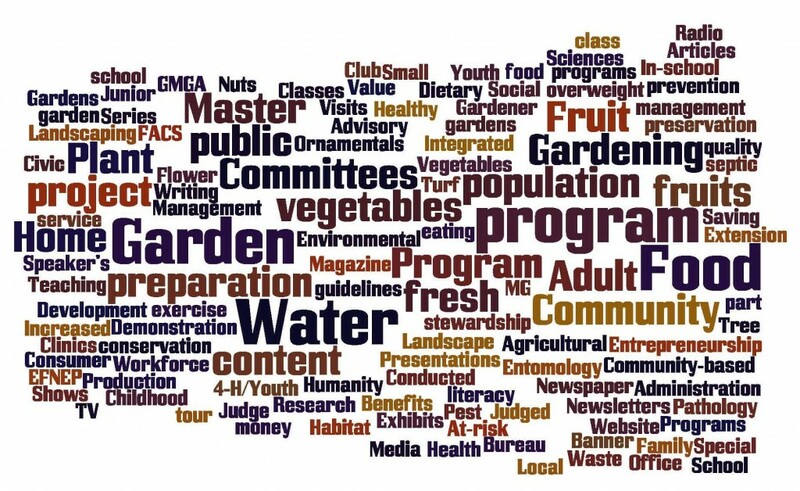 Many of these words describe our horticultural focus (such as plant pathology, turf, entomology, vegetables, septic education, and integrated pest management) as well as some possible audiences (such as at-risk population, including elderly, disabled, or at-risk youth). Our key word list gives a place to indicate that projects have some overlap. In a previous discussion of how to choose a state initiative for a project, we acknowledged that some projects have overlap in their initiative. When that happens, you can choose a second or third initiative from the key word list to reflect the shared interest. Key words also give us an opportunity to share what we are trying to do with the project by indicating some potential project outcomes. Perhaps your project leads to healthy eating, increased exercise, saving money on food, or an increase in agricultural literacy. You can choose some of those key words to tell us what you are trying to do. Just remember — I have already issued the disclaimer that the list is not complete! We are only just beginning! Let me know what is missing and we can add it in. These small steps at the project proposal stage lead to important decisions. For example, when there is an opportunity to develop materials for MGEVs, I can query the projects listed in MGLOG to see current or emerging needs . 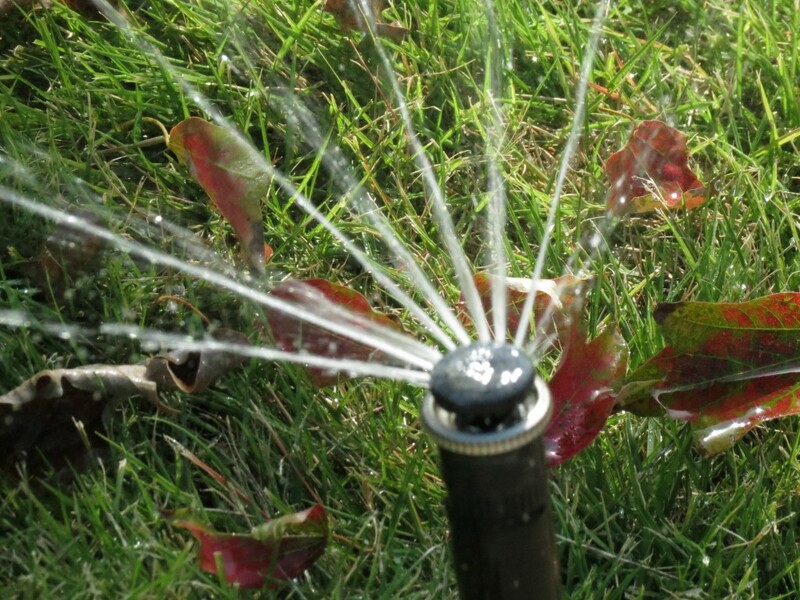 If I want to create water-wise landscape programming materials for agents and MGEVs to implement locally, I can see how many projects are already addressing this issue and get an idea of the priority of this topic. (MGLOG is not the only source of information used in making decisions like this, but it certainly captures where MGEVs are spending their time.) If a Specialist asks me how many MGEVs are working on Habitat for Humanity projects, I can easily find that information in MGLOG by searching for key words. If I need to know how many MGEVs are addressing home food production through community gardens, I can get that information, too. Key words really help to find projects and outreach efforts within MGLOG. So, I encourage you, as you propose projects in MGLOG, take that extra minute or so to consider the key words that best fit your project. Yes, this project that you are proposing is just one of the 850+ projects already entered in MGLOG. But when our tools, like key words, are used to their potential, we have some powerful information that will help shape our volunteer program, keeping it relevant to the needs our our communities. Thank you for all that you do in your communities, for partnering with Extension, and for continuing to embrace MGLOG! Previous: MGLOG: Which state initiative should I use?